from master chart to other charts. 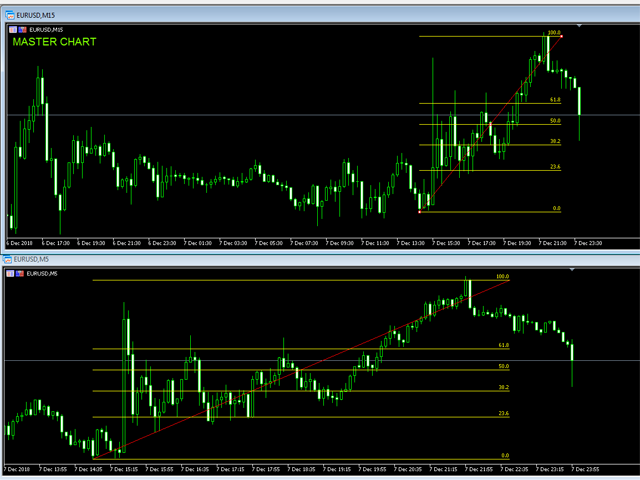 For example, you can copy lines from the chart GBPUSD with period H1 to chart GBPUSD with period M15. It's makes technical analyses more simple. 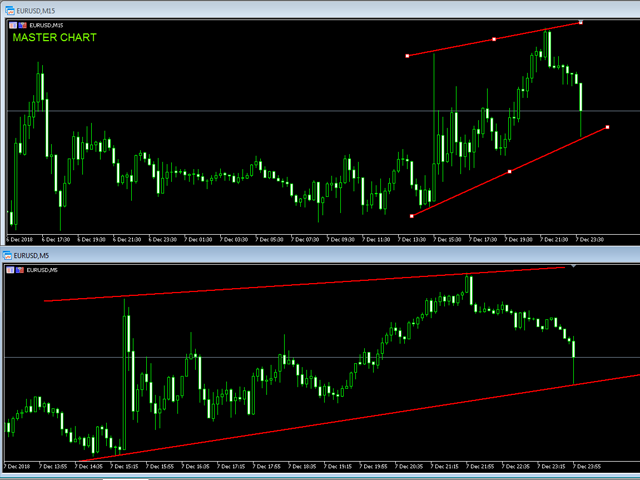 Please note, synchronisation works with same trade pair.